University of Western Ontario, M.A. 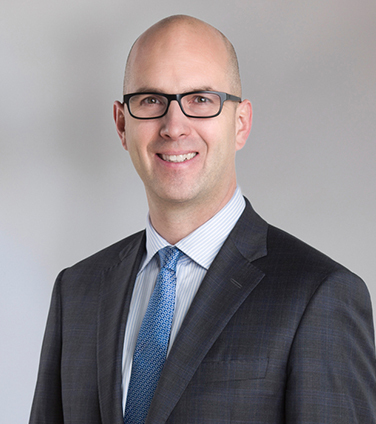 Colin is the Managing Partner of the Calgary office and represents clients in corporate and securities litigation, energy industry disputes, insolvency/restructuring litigation, and constitutional matters. He has represented clients before all levels of courts in Alberta and Saskatchewan, the Federal Court of Canada, and before the Supreme Court of Canada. He has also represented clients in arbitrations in the United States, Ontario, Nova Scotia, and Alberta and is regularly in trial or arbitration hearings. Prior to joining Osler, Colin clerked for the Alberta Court of Queen’s Bench and Alberta Court of Appeal. Shawcor Ltd. in defence of a claim involving the failure of a bitumen pipeline. Nova Chemicals in defending and counterclaiming in an approx. $1 billion dispute with Dow Chemical concerning the operation of a large petrochemical facility in Alberta. A subsidiary of Nutrien Inc. in relation to litigation in Manitoba concerning technology licensing. Enbridge Inc, Versen Inc., and Williams Companies in relation to a $100 million litigation concerning the Alliance Pipeline. Encana Corporation in relation to court and arbitration proceedings related to a $500 million investment by Toyota Tsusho Wheatland Inc. in Alberta gas properties. A large petrochemical manufacturer in an arbitration concerning a long-term feedstock supply agreement. A significant offshore gas producer in relation to an arbitration in Halifax, NS concerning a gas supply agreement and transportation issues. Culligan Canada in litigation in Saskatchewan concerning allegations of breaches of fiduciary obligations by a competitor and former employees. Canadian Civil Liberties Association in intervening in several Charter of Rights cases. Lexpert Magazine’s U.S. Guide, 2008: "Canadian Litigator to Watch"
O. Dixon, C. Feasby, and J. Lee, “Recent Judicial Decisions of Interest to Energy Lawyers” (2018) 56 Alberta Law Review. C. Feasby and A. LaRoche, “Competition Act Class Actions – Copycat Litigation, Economic Incentives and the Question of Reform” in T.L. Archibald, ed., Annual Review of Civil Litigation 2016 (Toronto: Carswell, 2016) 457-477. “Failing Students by Taking a Pass on Pridgen v. University of Calgary” (2013) 22 Constit. Forum 19. “Recent Judicial Developments of Interest to Energy Lawyers” (2011) 49 Alberta Law Review 427 (with Simon Baines & Daina Kvisle). “Canadian Political Finance Regulation and Jurisprudence” in K. Ewing, J. Tham, & J. Rowbottom, eds., The Funding of Political Parties (London: Routledge, 2011) 206. “The Advocate as Storyteller”, Canadian Lawyer Magazine (part of Arguably the Best - a year-long series on improving litigation skills), September 26, 2011. “Continuing Questions in Canadian Political Finance” (2010) 47 Alberta Law Review 993. “Bondholders and Barbarians: BCE and the Supreme Court on Directors’ Duties, Oppression, and Plans of Arrangement” in T.L. Archibald & R.S. Echlin, eds., Annual Review of Civil Litigation 2009 (Toronto: Carswell, 2009) 83-126. “The Supreme Court of Canada’s Political Theory and the Constitutionality of the Political Finance Regime” in S. Issacharoff & K. Ewing, eds., Campaign Finance in Comparative Perspective (Oxford: Hart, 2006). “Climate Change Litigation”, CBA Natural Resources Section, Calgary, Alberta, October 11, 2018. “Recent Judicial Developments of Interest to Energy Lawyers”, Canadian Energy Law Foundation Conference, Jasper, Alberta, June 13-16, 2018. Calgary Breakfast Seminar - A Practical Perspective on Recent Developments in the Law of Privilege, Calgary, October 26, 2016. “Carter and the 2012 Boundary Commissions,” Montreal, Quebec, McGill University/Trudeau Foundation, Democratic Deficits: Equality and Representation in Canadian Politics Conference, November 20, 2013. “Emerging Trends in M&A Litigation” (with Stephen Lamb and Edwin Maynard), Calgary, Alberta, December 6, 2011. “Recent Judicial Developments of Interest to Energy Lawyers,” Canadian Energy Law Foundation, Jasper, Alberta, June 15-18, 2011. “Director and Officer Liability,” Legal Education Society of Alberta, Banff Refresher Course, Lake Louise, Alberta, May 1-4, 2010. “Political Finance in Canada,” Wellington, New Zealand, May 14, 2010. “M&A Legal Update: Answers to Questions that Dealmakers are Asking” (with Noralee Bradley), Advanced Mergers & Acquisitions: Leading Players – Leading Deals, Insight, Calgary, Alberta, December 2-3, 2008. “Plans of Arrangement after BCE,” Intensive Course in Securities Law & Practice, Canadian Institute, Calgary, Alberta, November 3-4, 2008. “Continuing Questions in Canadian Political Finance”, Political Finance Workshop, Institute of Advanced Legal Studies, University of London, May 29, 2008.